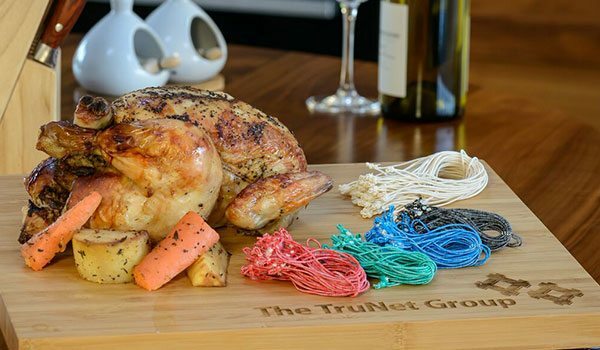 Furniweb’s chicken loops, or trussing loops or poultry loops, are made of polyester yarn and food grade rubber thread. It is mainly used to hold the legs and wings of birds tucked tightly to the body, facilitating roasting or rotisserie cooking. Our “trimmed and heat sealed” chicken loop looks more tidy and neat compare to the traditional loops. It eliminates the possibility of contamination from stray loop ends. 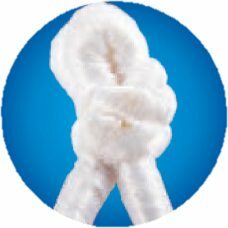 100% reduction in possible contamination from stray loop ends. “Traditional” or “Trimmed and heat sealed” chicken loops. Easy to apply without using equipment. Standard – 2 core, Strong 3 core or Extra Strong 5-core trussing loops. Length ranging from 4.5cm to 25cm. Packed in orderly form to avoid spillage and for easy handling. Also available in loose form.